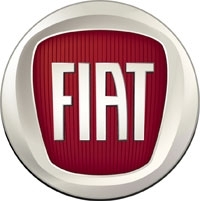 MUMBAI (Reuters) -- Fiat plans to open 20 exclusive dealerships in India by the end of 2012, a spokesman for its India unit said, as the carmaker starts to rebuild its network after ending a distribution agreement with India's Tata Motors. The Italian carmaker announced the end of a six-year agreement with Tata last week, and opened its first Fiat-only showroom on Wednesday in the southern city of Hyderabad. Fiat cars were previously sold in Tata showrooms. Fiat's move comes after years of disappointing sales, in a country where foreign producers such as Ford, Honda and Nissan have recently acted to take more control of their own operations. The company, which sells 20,000 cars per year in India, has not disclosed how much it will invest in developing its dealer network in the country. Fiat is far behind European and U.S. competitors in high-growth Asian markets, with scant presence in China, the world's biggest market. Fiat currently sells the Linea, Palio and Punto models in India, and is in the process of drawing up a new product line for the country. The carmaker aims to introduce more brands from a portfolio which includes Alfa Romeo, Chrysler, Dodge and Jeep. Fiat has a fair amount of brand recognition - its 1100 sedan was sold under license in India from the mid-1950s to 1997, first as the Fiat 1100 Delight and then as the Padmini. The car is commonly used as a taxi. A partnership producing Fiat and Tata cars and also engines and powertrains at a plant in Ranjangaon, remains in place, the two companies said. In its five years of operation, the joint venture has produced 190,000 cars and 337,000 powertrains.